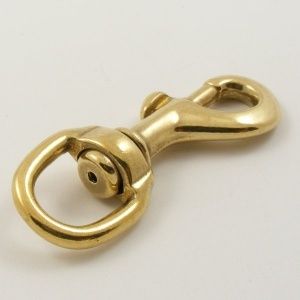 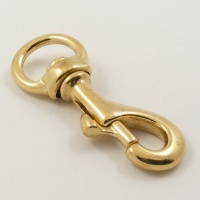 This is a heavy weight round eyed brass trigger clip, made for a 5/8" (16mm) leather or webbing strap. 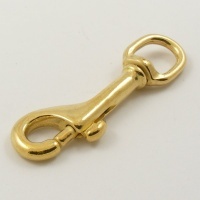 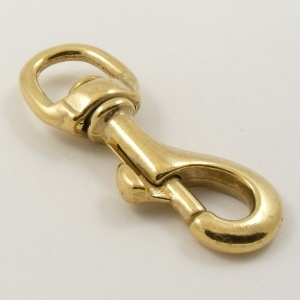 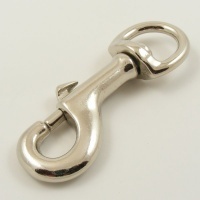 This is a good strong clip, ideal for use on a dog lead. 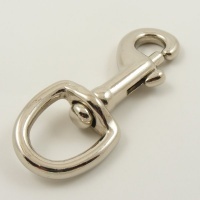 End to end length 81mm.